So, uh… Hey guys! Any big news since we last met? I mean other than that whole “Infinity” rumor thing or whatever it was called. Let’s sit down and have a cozy little catch-up, shall we? Yup. Still awesome. Still chill-inducing. It’s been a herculean undertaking by folks here at the studio laying the tech foundations for our next adventures – the culmination of a lot of hard work by a lot of amazing people, all eager and excited to be playing a part in delivering Halo’s next big thing. 343 Studio Head of FPS Chris Lee penned his thoughts on the milestone for community consumption, and if you haven’t had a chance to check it out yet, definitely do right here. We’ve got quite a way to go, but we’ve already been incredibly excited and inspired by the reactions already elicited by the initial trailer. Passion and enthusiasm like this only fuels the team’s desire to make amazing content (and speaking of which, if you'd like to help with this, we're hiring!). We know you’ve got a Forerunner installation’s worth of questions. And trust us, we can’t wait to answer them when the time is right. Although actually, before we move on, one of the things that we know most people are talking about are those sweet, luscious, evocative visuals. As a little bonus treat, here are a couple of pieces from 343 concept artist Espen Sætervik (@Espenartman - even his name looks like art) that directly correlate to the evolution and direction of the Halo Infinite reveal trailer. We'll have plenty more to say about the art as well in the future, so stay tuned, but in the meantime, enjoy the beauty below. To help eager fans share their passion for Halo Infinite, we put together a handy little care package of screenshots, gifs, and banner images for folks to use on their profiles, tweets, posts, videos, blogs, and more. Check it out on the Waypoint forums right HERE. A few weeks ago, we shared the first details on the upcoming 2018 season of the Halo Championship Series. This week, the HCS team provided more information about each of the season’s events – including formats and roster deadlines, online tournament information, and more. Check it all out in the Online Format & Dates blog. As a reminder, online 2K tournaments begin this weekend, so check out the aforementioned blog for details on how you can get involved! And don’t forget, MLG New Orleans is coming up soon! July 13-15 will see an awesome global open event featuring both Halo and Gears of War esports franchises under one roof. Make sure you come out represent Halo strong! Information on travel, tickets, and more can be found at the official event page: halo.gg/NewOrleans2018. 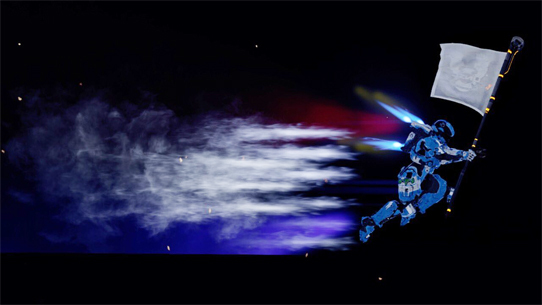 As many of you know, we recently wrapped up our second flight in the MCC Insider program, and yet again, it proved to be not only a great success, but an absolutely blast to play in general. Ske7ch detailed the results in this morning’s official flight recap, with some additional insights from Dr. Jessie Thomas (Jessabirdy) to provide further context. It’s a great read – make sure you check it out! Next Thursday (June 28), the Halo 5 July-August 2018 Arena Season arrives, bringing with it a fierce freshening up of the multiplayer matchmaking scene. One of the biggest things players will notice first is the introduction of the Core Play playlist, which brings the old “Team Arena” experience to Halo 5 Social matchmaking. To start out, Core Play will be observed for performance and popularity before deciding on potential permanence, so make sure you jump in and try it next week to see if you like it! And to try and make it as clear as we can, the Team Arena designation will remain in Ranked play, and will become the new home for HCS maps, modes, and settings. In addition, the July-August Arena Season will see Triple Team enter the rotational fray, and Warzone Turbo roll through the season’s opening weekend – plenty of crazy fun stuff to keep players busy! 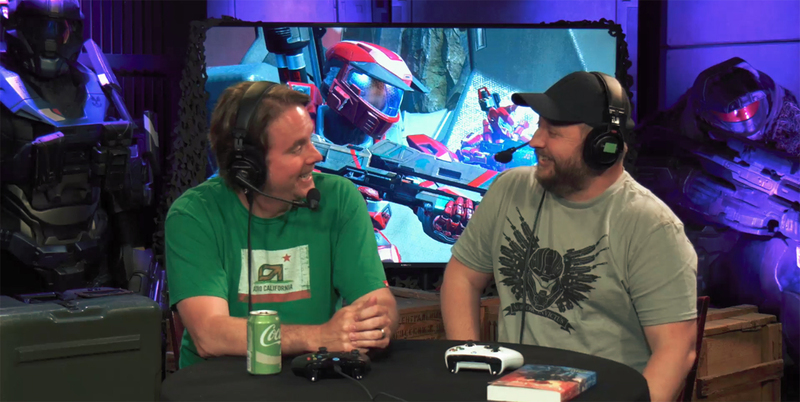 After a week off during E3, the 343 Social Stream was back in action this past Wednesday. ske7ch joined yours truly to play some Halo 5 Rock 'n' Rail, chat E3 hype, and have a bunch of good laughs. Also, I GOT A FREAKING OVERKILL. So, watch it for that if nothing else. If you missed it live, catch it on-demand right here. The first ever HWCL Invitational is upon us and is happening this Saturday, June 23, at 8:00am PDT. Over the past few months, tournaments have been held nearly every weekend in Halo Wars 2 – all leading up to this final showdown. The invitational represents the best of the best in the Halo Wars 2 community going at it to prove who is the best and for a shot at getting a balance change of their choice in game as well as some sweet loot. To catch these games live follow each team below for broadcasts and hop into their discords to discuss this event as well as future ones. Full bracket can be viewed here. H3T Confirmed – Today H3 Throwback hit Halo 5 matchmaking, bringing back everyone’s favorite time-traveling mish-mash of old-meets-new Halo multiplayer experiences. Jump in and check it out while it’s in the Social rotation these next couple weeks! Collateral Damage – Looking for some additional fireworks this July 4? Look no further than Issue #2 of Halo: Collateral Damage, the three-part comic miniseries focused on John-117 and his Blue Team companions early in the days of the Covenant War. Make sure you check it out! Taylor Swift Not Included – Next week, June 26, Halo: Bad Blood hits store shelves and online retailers. 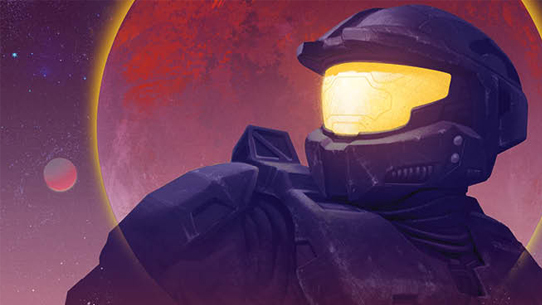 The Matt Forbeck-penned follow-up to Halo: New Blood is a must-read for fans of Buck, ODSTs, or folks wanting to get a glimpse at the immediately-post-Halo 5: Guardians-story. Don’t miss it! Curious Colectomy – As a handy PSA, for folks wanting to write out or feature the name of our next big game, remember: it’s Halo Infinite. No colon, no number, no hyphen, no hints. “Infinity” is the ship, “Infinite” is the game. Hitting All the Right Notes – Our #HaloChallenge social sing-along officially came to a close just before E3, and @sparkie237 emerged as the lucky minstrel! A big shout out to everyone involved and to all those who submitted their entries and shared their passion for Halo through music. Enjoy your Xbox One X, sparkie! Lootership – This week we unveiled the theme for the next Halo Legendary Crate, the first entry in Series 3. The series will focus on Noble Team overall, with Carter A-259 taking the initial spotlight in the “Leadership” themed crate. 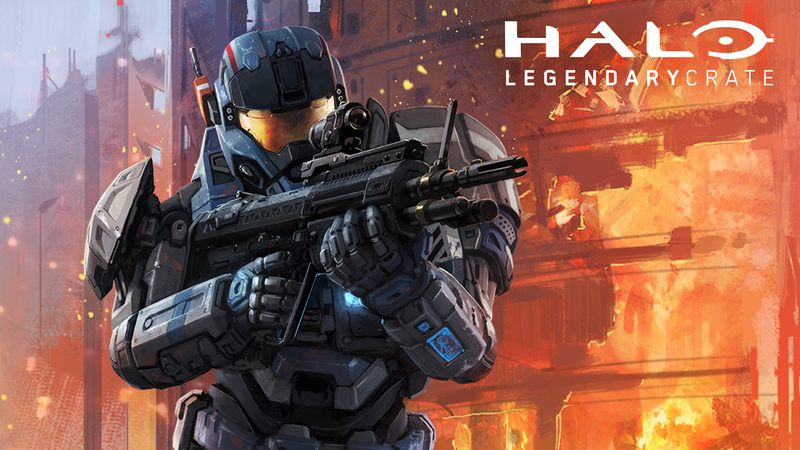 Make sure you head over to loot.cr/Halo by Aug 15 to secure yours! 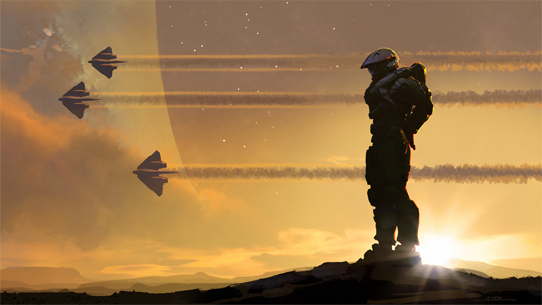 Anyway, saboe627 was inspired by Halo Infinite to paint something awesome, so we were inspired to show it off here. Bailey back at it again with a cool SFM rendition of the latest Legendary Crate theme! Love this cool sketch by JazzHdz6. 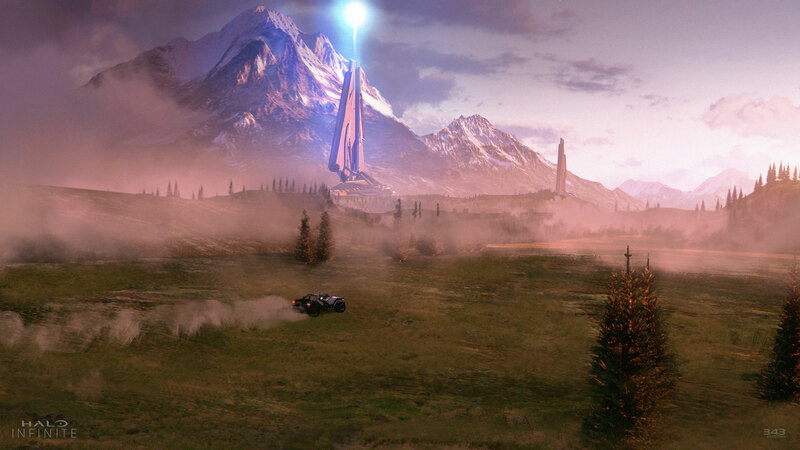 One of the coolest things we've seen come from the initial Halo Infinite reveal is the rampant speculation and curiosity over all sorts of aspects of the future experience, especially concerning various details gleaned by curious community curators. While we've got plenty of time to go before we talk about anything further officially, we're still having a blast watching what folks are thinking. 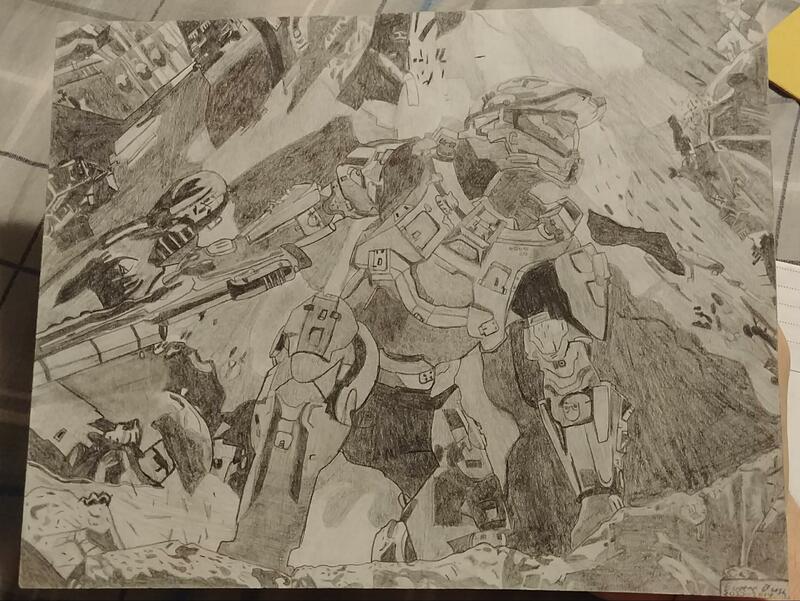 Love this Halo 4 cover drawing posted by gottaburnemall7. 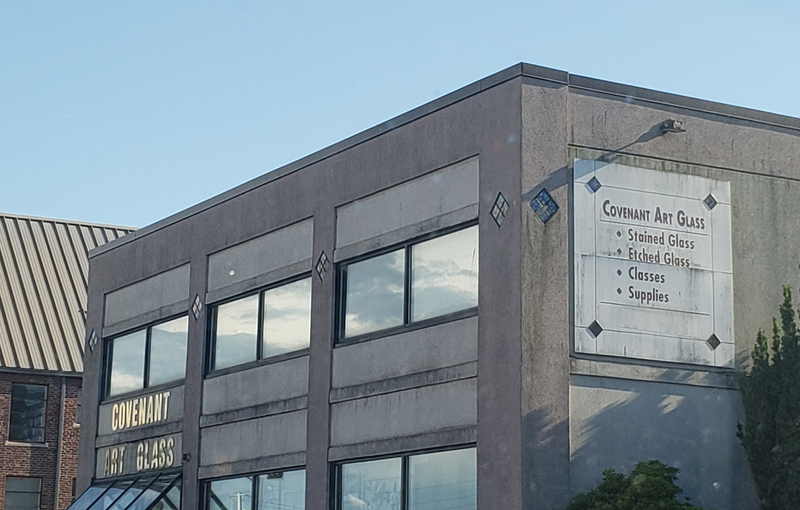 Until next time… Live well, play Halo, and do good. After the war, the once-sprawling theocratic alien alliance had to turn to more… creative methods of resource allocation. Welcome back, gentlecreatures – hope this regular dip into recent Halo news and notes finds you well! Over the past week or so, it’s been fun to see various parts of the studio buzzing about heads-down and hard at work on everything from awesome MCC updates, upcoming HCS events, new books, comics, and yes, even other far-off future fancies. Ready? Let’s go. We’re back in action, freshly-Fourthed, and ready for a quick catch up on Halo happenstance. Let’s get started, shall we?